Yesterday was a tough day for the government’s potentially catastrophic grammar school plan. 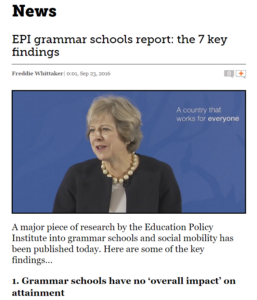 The Education Policy Institute published a damning report systematically trashing any evidence that grammar schools would benefit disadvantaged pupils. 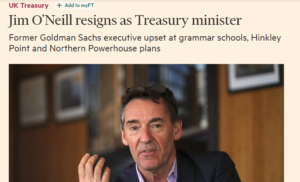 The government faced its first ministerial resignation and it was linked to grammars. 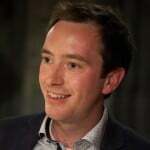 Tory media-stalwart, The Times came out against grammar schools, cutting to the heart of the party’s heartlands by categorically dismissing the policy. This leaves the government in a tricky position. As a smart man, Nick Timothy, (Theresa May’s advisor and the policy’s architect), will realise this. Unfortunately, “May U-Turns on grammar schools in face of massive opposition” makes a better headline for newspapers, and a worse headline for government than “Government listens to the evidence and reshapes policy”. So, the government needs another way out; a comfortable way of saving face whilst listening to reason and stepping back. Fortunately, it has a few options. Spotted poking out of a briefcase, a potential way out is already on the table. ‘Fair selection’ could be trialled in selective areas and expansion of grammars presented as the intended follow up to a successful pilot. This shelves the issue until it blows over. Once the ‘pilot’ is completed in a few years time, the policy can be quietly dropped or downgraded once it’s slipped under the radar, (and been shown to be unfeasible). 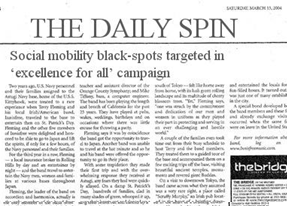 Conveniently, given that social mobility is so poor in selective areas, this approach can even be presented as a ‘targeted effort to tackle blackspots’. All sorts of schools are already allowed to select a proportion of their intake, for example through aptitude in a specific subject. A bit of clever branding and comms could present a few more of these, or some loosening of conditions they operate under as a rebirth for selective education and a ‘new generation of grammars’. Discussion has already begun about where new grammars would be created and how quotas might shape their intake. By specifying a tight enough definition of where new grammars can be created and how/who/what proportion of their pupils they can select, ministers could define these schools into near irrelevance whilst still labelling them in a glitzy , headline grabbing style – perhaps as “Mobility hubs for life” – fusing the current vogue for talk of ‘social mobility’ and ‘life chances’. Such an approach would hark back to Conservative tradition, including “City Technology Colleges” – predecessors of academies established in the 1980s. Given the strength of the evidence, it would be a terrible shame if the government ploughed on down a blind alley because it thought it had no options. There is still space to retreat with dignity and when the government finally does so, let’s congratulate rather than chastise it for doing so. Social cohesion: Can and should schools do more?